GDL 88 Software Upgrade to System Software Version 3.00 PURPOSE This Service Bulletin announces the availability of GDL 88 System Software Version 3.00 and supersedes Software Service Bulletin 1371. GDL…. New Part Numbers and Pricing for the GPSMAP 696 Garmin revealed the release of new part numbers and software for all GPSMAP 696 products supporting GXM 42. This software enables the use…. 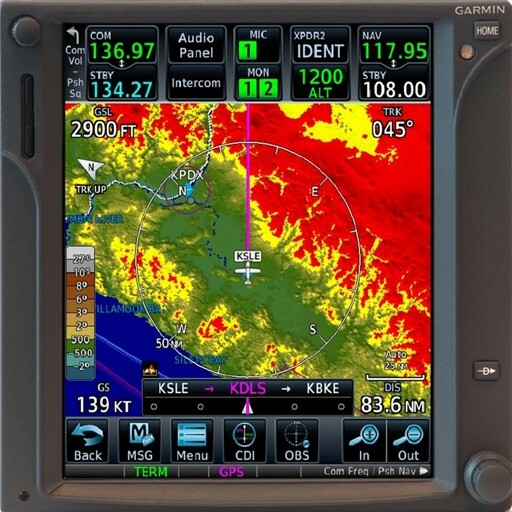 Garmin International Inc. today announced the addition of supplemental type certificate (STC) approval of the G950 Integrated Flight Deck (IFD) in the Metroliner and Twin Otter aircraft, expanding our G950…. 11/4/2014 The Equip 2020 group is tasked with working with commercial and General Aviation (GA) operators to identify the key barriers they are facing when it comes to equipping their…. October 28, 2014 GRS 7800 AHRS Airplane Flight Manual Supplement Limitation CERTIFICATION AUTHORIZATION: STC (see Approval section for details) PRODUCTS AFFECTED G1000 equipped King Air 200/B200/300/B300 series aircraft equipped with…. October 28, 2014 New GDL 84 Offers Comprehensive, Unobtrusive ADS-B Solution With Benefits of Traffic and Weather Garmin International Inc., a unit of Garmin Ltd. (NASDAQ: GRMN), today announced the…. Software Version 7.04 available for GTX 23, GTX 33(D)(ES)(H), and GTX 330(D)(ES) products (not applicable to G900X, G950, G1000, Cirrus Perspective®, or Embraer Prodigy™ installations) PRODUCTS AFFECTED This bulletin is…. October 21, 2014 CERTIFICATION AUTHORIZATION: AML STC SA01714WI GTX 330/33 Software Version 7.04 Update PRODUCTS AFFECTED Aircraft modified by AML STC SA01714WI Master Drawing List 005-00734-04, Revision 3 and earlier…..
October 22, 2014 Configuration Information for ADS-B Out Compliance, G1000 King Air CERTIFICATION AUTHORIZATION STC SA01535WI-D (see Approval section for details) PRODUCTS AFFECTED This letter is applicable to Beechcraft model…. October 16, 2014 New Updates for King Air C90, Added Savings on Key Safety Options for 200/300 Series Garmin International Inc. today announced new capabilities and enhanced operational benefits for….